Why is price of juicy grubs soaring? 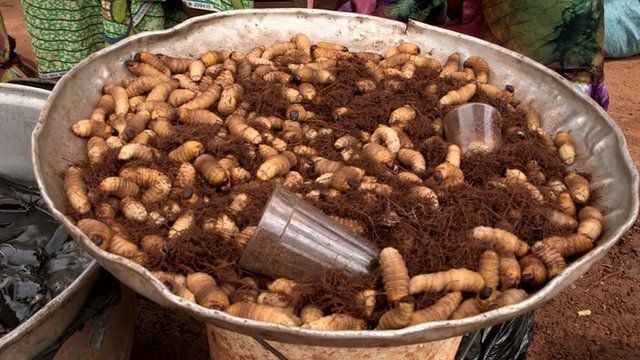 Jump to media player Grubs could hold the key to solving a major issue of malnutrition in Cameroon, according to scientists. Baby necklace keeps medical records safe Jump to media player A necklace designed for babies in India could be a lifesaver thanks to the immunisation records it stores. Radiation scan for babies in Fukushima Jump to media player A new radiation scanner has been developed for babies in order to reassure Fukushima families affected by the March 2011 earthquake and tsunami. The BBC's Tamasin Ford went to investigate.